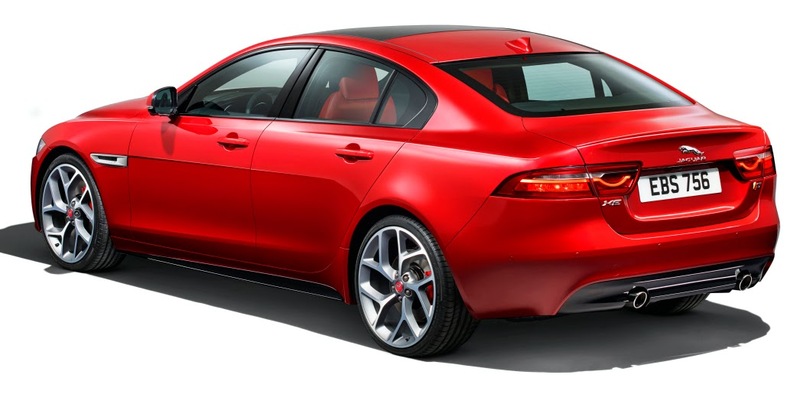 drivingandlife: JAGUAR'S XE - Exceptional, Ingenious! Forget about the svelte styling, and the head-turning shape for a moment (okay, a few seconds then), there is so much advanced technology in the new XE that it’s staggering! All this from a marque that was on the brink of disappearing more times than you’ve had hot breakfasts. I should know, because I’ve personally witnessed a couple of those nadirs. In every area of the car, from engines, to equipment, construction techniques, components and driver aids there are ‘firsts’ coming thick and fast. I’ll leave it to websites like GoAuto.net to sum up the details and the results from three years of blood, sweat and tears at Jaguar’s Gaydon headquarters. 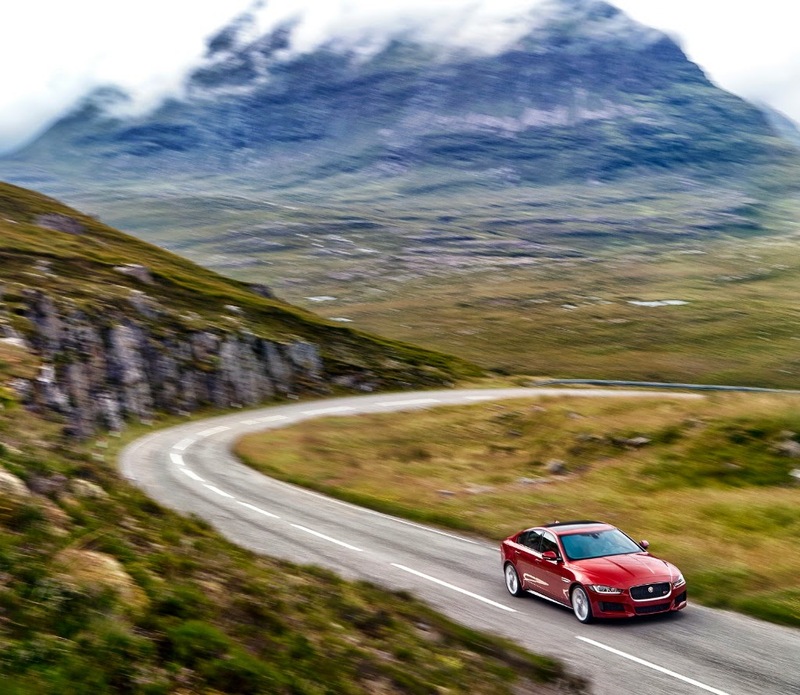 The XE is not just another smash design hit from Design Director Ian Callum and his team. Every single department associated with the creation of an all-new car has contributed to a quite spectacular new model for Jaguar. We know by now that the F-type, in open and closed form, has been an incredible success, but the XE will be THE game-changer for Jaguar. This is a car which Jaguar has longed for, from way back in the days when it was independent, through Ford ownership, and since coming into the Tata fold. 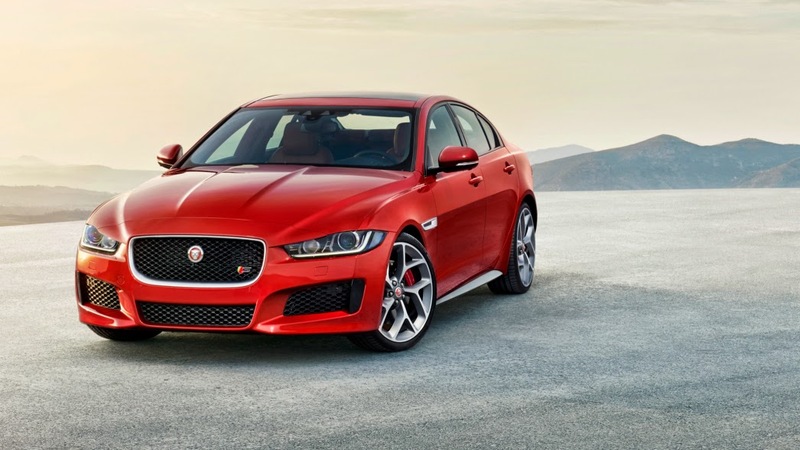 Jaguar always wanted to compete in the segment dominated by the BMW 3-Series, and this time I believe the XE will be the car to dumbfound and completely discombobulate the BMW management. It’s my opinion that this is the first time any car company has thrown out such a definitive challenge to the 3-series. Jaguar has overshadowed BMW, Audi and Mercedes and I can’t wait to drive it. The moment I rolled away in a Jaguar XJ, the underweight, supercharged Jaguar threw down the gauntlet to the heavier Mercedes S Class and the BMW 7 series. The very noticeably lighter Jaguar XJ handles better, goes better, rides better and is more fuel-efficient. I reckon it will be the same with the XE, only better. In a recent interview at this year’s Geneva Salon, Jaguar Director Adrian Hallmark spelled out that Jaguar is now funding its model programs and all its R&D and investment in new powertrains and construction methods from its own revenues, and that it would soon be contributing dividends back to Tata. The success of the XE will undoubtedly improve on that position and make Ratan Tata very happy that he and Tata Group took the huge financial risk acquiring Jaguar Land Rover from Ford. I'll bet Ford's top man, Mark Fields, is regretting that Ford threw away a big opportunity because of its laissez-faire management of Jaguar. Isn't it amazing what a well-led, well-funded, enthusiastic and energized management team can do with a company which Ford treated as a dead weight. It’s a win-win, and not before time for the classic Coventry-born marque.